The campuswide ceremony for all graduating seniors from all majors and their families, includes the Chancellor's address, keynote address, and most of the traditional pomp and circumstance. 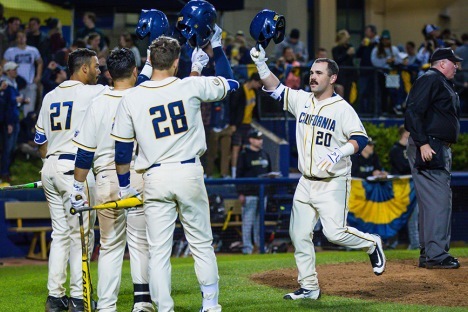 Cal Baseball hosts Men's Baseball vs. ASU at Evans Diamond. Latanya d. Tigner and Erik Lee, both dancers with Dimensions Dance Theater, bring their original works to our performance space. Tigners You Never Know dissects fear, judgment, and insensitivities about homelessness. Lees Armed with Joy highlights ways that black Americans can reimagine self and community in the wake of loss. Work with CCA graphic design professors Jon Sueda and Christopher Hamamoto to construct your own personal flag posterusing a set of predefined cultural symbols and paper stencilsto print on the Art Lab Risograph. Expand upon the Flag Generator symbol library to explore graphic expressions of self-identification.